At BoxNine7 we take great pride in our styling, it’s one of the best parts about the interior design process. 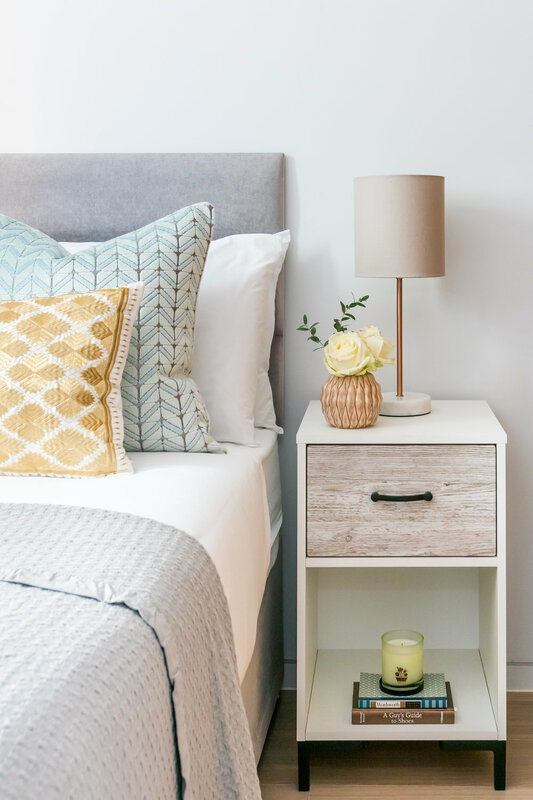 From cushions and plants to books and metallic accents – take a walk through how we style our schemes and pick up a few pointers on how you can spice up your own space! The BoxNine7 team absolutely love transforming empty spaces into comfortable, fun and classy homes. Styling is a bit of an art for us and we use many different elements help tie the space together in an exciting way. We make it our business to know and understand your target market for rentals or your personality for your own home. This enables us to choose the right finishing touches such as art, soft furnishings and decorative accessories. We love to style using coffee tables. They feature in almost all our work and are functional as well as being an amazing decorative platform. Throughout our schemes we have used a range of different items to get our client’s style across. Ever considered how the type of coffee table you use could have an impact on the room's overall design? If your table makes a statement on its own, whatever you place on top of it will only be an amazing bonus! Throughout our schemes, we’ve used several types, from glass, to marble and wood; in different shapes, sizes and styles to add different moods and dimensions to the property. One of our secret weapons for styling is home fragrances. Candles and reed diffusers not only make your home smell beautiful but also give you a humble decorative accessory and mood setter. British candle maker, Charles Farris, a local to our Queenstown Road scheme sell gorgeous, high quality home fragrances and is worth a visit. Styling is a fun way to not only apply your personality to a room, but to make it look and feel more like a ‘home’. We have written previously about bringing the outside in and why having plants around the house is an awesome idea, but in short, they are a delicate addition to any room and look fabulous, so grab a cup of tea and check out the plants that we have used in our schemes here! 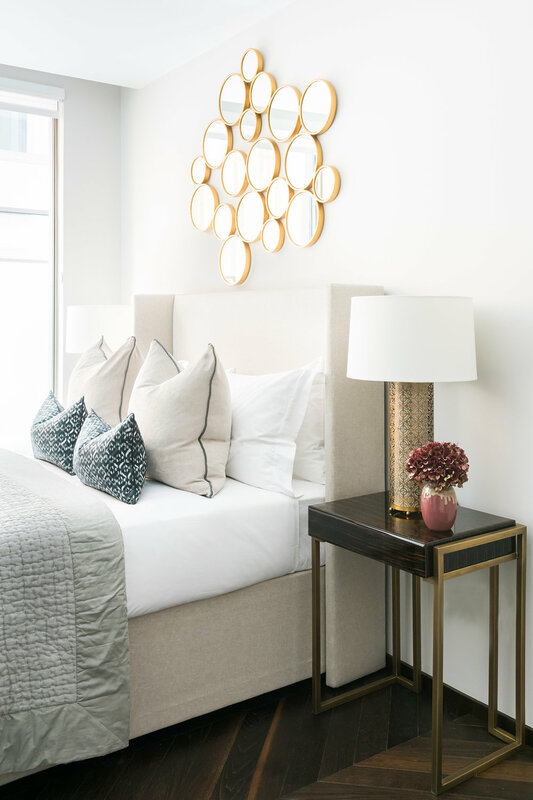 Metallic accents are a popular go-to for most of our schemes, from table trays to vases, small hints of gold, copper or brass will add an instant touch of luxury to the room. We have previously used them against a neutral backdrop to make the item pop just that bit more. Want to learn more about the styling of each scheme? Sure thing, read more over on our Instagram! Books are also a wonderful way to style not just the coffee table, but all areas around the house. When you don’t have the luxury of dedicating a library entirely to your favourite reads, improvisation is a good way to go. Spreading your must-reads throughout your space, like we have on coffee tables, side tables and shelving can really contribute to making a house a home. Taschen in Chelsea is a MUST visit for all of your art, photography and fashion book needs! Aren’t soft furnishings underrated? Colourful cushions, throws and blankets are fantastic solutions to a dreary room and we absolutely love picking out beautifully made soft furnishings for each one of our schemes; it certainly makes all the difference to how cosy and luxurious a place feels! What we love about soft furnishings is how playful you can be with the designs, by mixing and matching different tones, textures, shapes and sizes; we make sure that we make a longlasting impression on the space. Art, we adore it and always find a way to showcase it in our schemes. 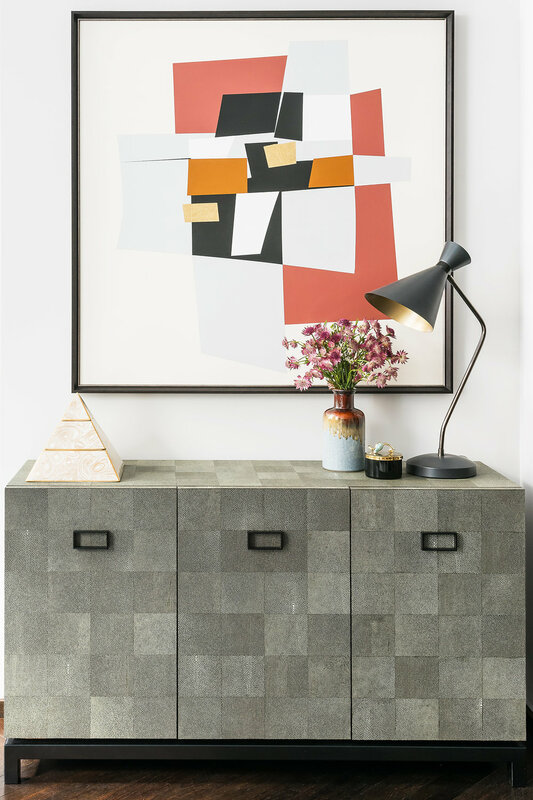 Art gives a room an exciting focal point, no matter how bold or subtle and adds that little finishing touch. There is only so much a sofa choice can say about you and your taste, but the art that you choose to display can make incredible statements! The art we choose throughout our schemes compliment the mood of the home and the design brief. Close by to our 190 Strand scheme, is the Maddox Gallery – a gallery that showcases and sells fine art. Definitely give it a visit. ...and that's our Styling 101, over and out! Please do check out our most recent schemes here, we're always introducing new styling elements into every project - let us know if you spot any in the next one!